"The operation is compromised." 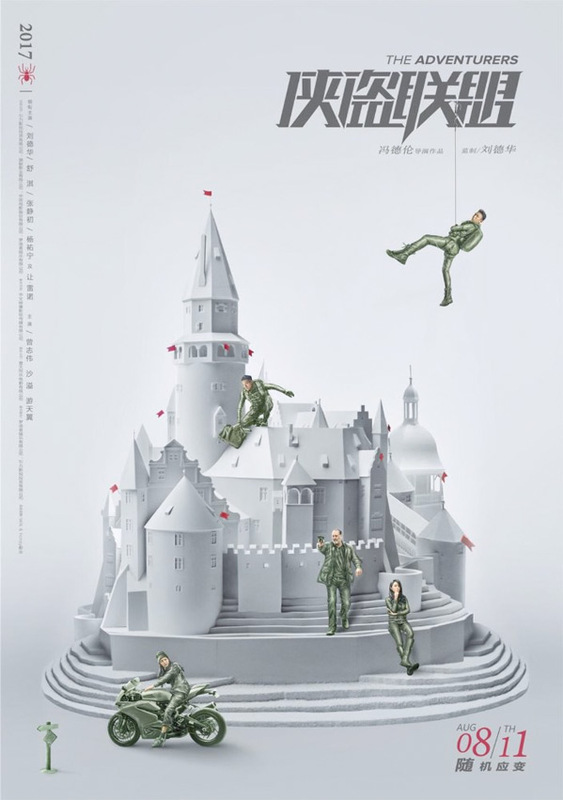 Well Go USA has debuted an official US trailer for the Chinese action heist movie called The Adventurers, from director Stephen Fung. The action-packed film is about three of the world's top thieves, played by Andy Lau, Tony Yang, and Shu Qi, who band together to pull off the "heist of a lifetime." But hot on their trailer is a French detective, played Jean Reno of course, who chases them all over Europe. The full cast Jingchu Zhang, Eric Tsang, Tony Yo-ning Yang, David Bowles, and Yi Sha. This definitely looks slick, kind of like a Hollywood action heist movie with some cool set pieces and locations, but I hope it's actually good. Seems like it's going to be super cheesy, a little too much Hollywood. In this slick, high-stakes action-adventure, the world's top thieves – the infamous and charismatic Cheung (Andy Lau), his former partner in crime, Xiao (Tony Yang), and beautiful chameleon Ye (Shu Qi) - join forces to pull off the heist of a lifetime. But when they find themselves pursued across Europe by a legendary French detective (Jean Reno), they’ll have to take their game to the next level. The Adventurers is directed by Hong Kong actor-filmmaker Stephen Fung, of the films Enter the Phoenix, House of Fury, Jump, Tai Chi Zero, and Tai Chi Hero previously. The screenplay is written by Chi Kwong Cheung, Stephen Fung, Zhichao Ha, Xiaozhuang Huang, and Yiu Fai Lo. This first opens in China starting next week, then Well Go USA will release The Adventurers in select US theaters starting August 18th this month. You in?